We are living in extraordinary times. As we see massive growth in advanced technologies like artificial intelligence, Internet of Things (IoT), and automation, it’s clear that we are changing the world for the better. The story of Opendoor is unlike any other startup. Currently valued at $1 billion, this real estate tech company launched a whole new home-buying model to become a unicorn in 3 years. 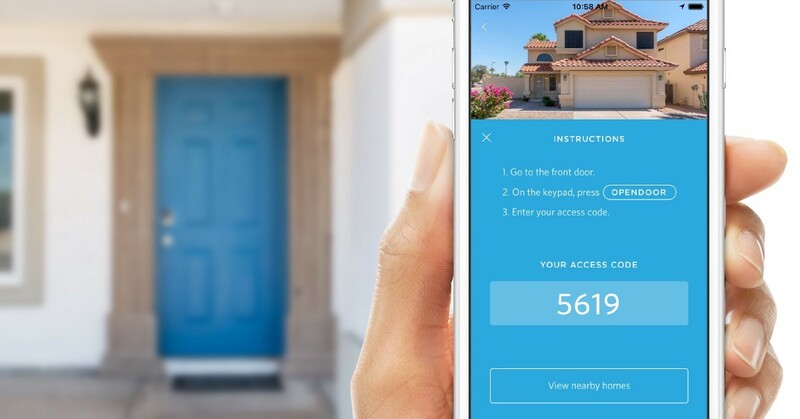 Here is why the Opendoor app is completely changing its industry- it’s offering the people who want to buy and sell homes a simple and convenient system through which they don’t have to deal with tedious tasks like doing the paperwork and home-showing, etc. The sellers can sell on the platform as soon as they are ready as Opendoor buys the property from them at a reasonable price. The buyers can then take a tour of the home as per their convenience and buy whenever they are ready. They also get a 30-day guarantee for added assurance. So, Opendoor essentially takes away the limbo-period where the sellers have to wait for weeks to find the best buyer. It also helps the buyers who otherwise have to struggle finding the right homes, scheduling the tours, etc. Tailor Brands is a web-based logo design service that has revolutionized the graphics design industry, especially for the small and medium enterprises (SMEs) that can’t afford the services of professional graphic designers. Tailor Brands offers affordable but top-notch branding solutions through its online platform where you can design logos, business cards, social media banners, digital ads, etc. by yourself and that too within just a few minutes! It uses a proprietary artificial intelligence-based algorithm to understand your design requirements just like a human graphic designer would. Then it goes through its massive database of icons, fonts, and various other design elements to create the perfect logo for you in seconds. It also offers other services like social analytics, social strategy, presentation files customization, etc. The reason why Tailor Brands has become a game changer for the graphics design industry is that it’s made it possible for small businesses that are located in remote corners of the world to compete with the big players by building powerful brands from the comfort of their offices and homes. Now even a small furniture-maker or apparels-seller living in a small town can have a premium-quality company logo and establish himself as a serious brand. There is not denying that artificial intelligence is one of the most powerful technologies that we have today. It has numerous applications and we are already seeing its impact in our day-to-day lives. For instance, when people first grabbed their hands on the world’s first AI-powered smartphone i.e. Huawei Mate 10, it sent out a message that AI is no longer an exclusive technology meant for the large-scale or industrial applications, and that it’s accessible and usable by individuals and budding entrepreneurs too. Roadstar.ai is one such startup that’s taken AI to a whole new level in the autonomous driving arena. Now, we know that autonomous vehicles have been around for some time now and we saw Google and other tech giants working on driverless cards. However, Roadstar.ai is one of the most prominent startups in the domain that specializes in level 4 autonomous driving technologies. Valued at a whopping 128 million USD, it’s offering state of the art AI-enabled solutions for the driverless cars, mainly through two unique algorithms called DeepFusion and HeteroSync. The company itself is headed by former engineers behind driverless cars of Baidu and Google. So, that should tell you something about its capacity and standard. Slack is a group-chat mobile app that was designed to revolutionize office communication, and it’s been quite successful in that endeavor. According to a survey conducted by the company, its users saw a 48.6% reduction in email which is a big achievement. What’s more, it helped boost office productivity by a whopping 32.4% and reduced the number of meetings by 24%. Slack focused on offering creative collaboration and real-time recording of office communication to bring a radical change in the industry. Although on the surface, it looks similar to other instant-messengers like WhatsApp, Viber, etc., it does many things differently that are catered towards professional environments. For instance, it allows you to create channels to collaborate on various projects in a targeted manner as you can start a new channel that contains all the details of a project, and add the users afterward. It also allows teams to create their own bots to communicate with the app’s chat functionality and run tasks like expense tracking, sending reminders, etc. Good education is important no matter what domain you are interested in. If you have the talent and the resources, you can get it easily. However, it’s not that easy for the visually impaired as they don’t have enough study material that’s adapted for their needs. Eric Sicard identified this major problem and came up with BraiBook. BraiBook is the world’s first e-reader that’s designed for the blind people. It can store digital documents and translate them into braille, meaning that the visually impaired people can read their favorite books easily and gain as much knowledge as they want. BraiBook is certainly is one of the most innovative startups we have seen so far. The fact that it won the People’s Choice Award this year and received a whopping $100,000 (+$50,000 from the award) funding only go to assert that it’s going to disrupt the education and tech space. This is the age of startups, there is no question about it. As more and more people are pursuing their passion and taking the roads that are less traveled, we can expect to see a world that encourages creativity and innovation. The five startups above are shining examples of this idealogy.